Card Review: 9.6 What's not to love about this card? After nearly decade of being snubbed for Diamond Kings, adn four years of being passed over for "MVP" by Donruss, they finally got it right. 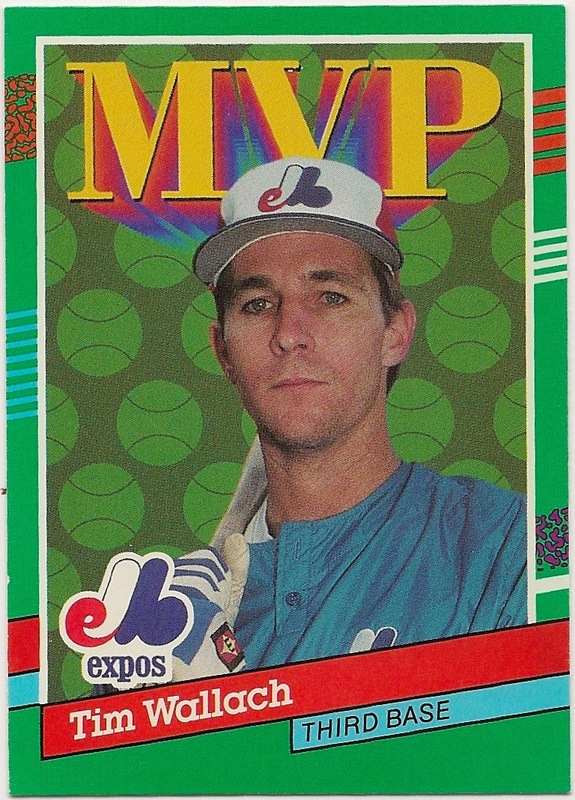 My burning question is, why didn't Donruss run with this back on their base cards as well? It's a lot nicer than their standard back, which was universally hated by all. 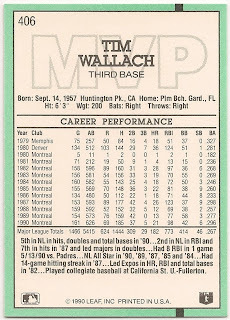 Fun Facts: *1991 was the first year Donruss put out cards as two different series. 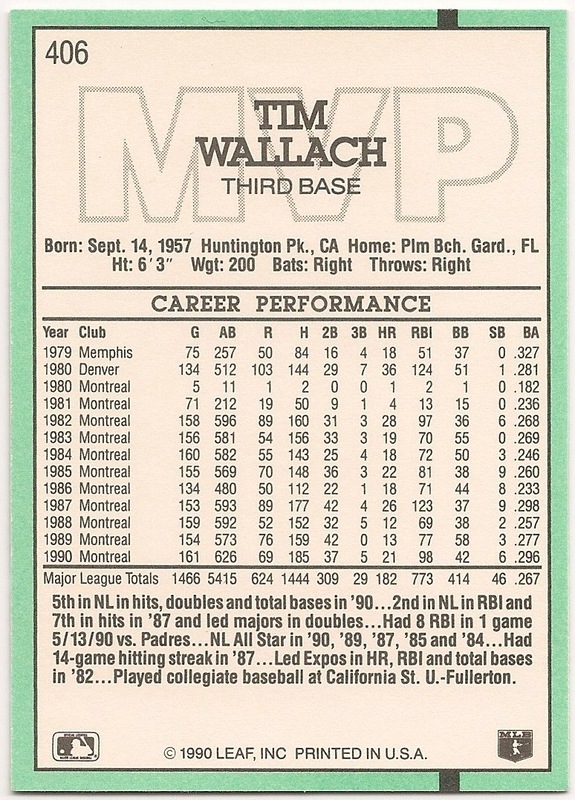 Wallach had two cards in series 2, essentially making my odds 4x as likely of pulling a Wallach from a pack of '91 Donruss series 2, than it had been in all other years. Hello I have this card and looking to sell a few others like the MVP card Fred McGriff 389 and lots of more from that time who could help me?